Balta’Czar is a modern-typed, well rounded stallion that has been successful in the hunter, dressage and jumper rings. He currently has offspring competing in hunter rings at many A circuit venues, as well as successful eventers and jumpers alike. Balta’Czar is one of two approved sons of Alla’Czar, a number one hunter sire in the US. Balta’Czar is the leading YHS sire for 3 years in a row and stands 2nd in the Dam Sire YHS standings. Balta’Czar’s dam Jete, decending from a strong Holsteiner line, has produced 3 approved sons. This legend of a mare is by the Calypso II son, Columbus. Cor de la Bryere, infamous for revolutionizing the Holsteiner breed, appears twice (3SX 3D) in her pedigree. Balta’Czar’s “bombproof” disposition makes him an ideal stallion to subdue hot or ‘temperamental’ mares. 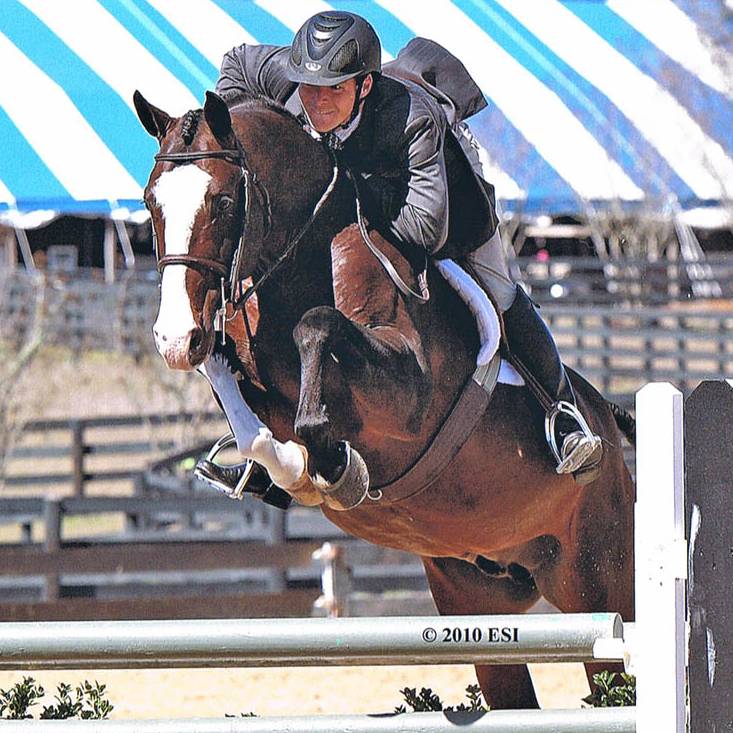 His superior jumping form (in 2004 BC was the highest scoring stallion on the BWP tour) makes him an excellent choice to improve jumping style and technique for the hunter/jumper ring. BC can always be counted on to improve the mare to which he is bred. In the breeding world, there are very few Improvement Sires; Balta’Czar is one of them.